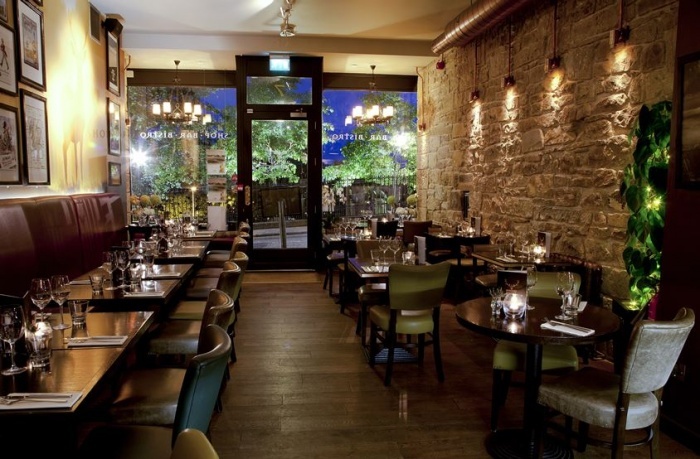 These Edinburgh Whisky Bars are a must for true whisky lovers. Beloved of luxury lovers the world over, Scotch whisky has become something of a global phenomenon of late. 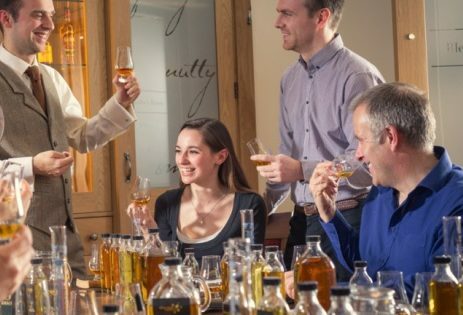 Whether a visitor to Edinburgh, or a local, becoming a Scotch whisky aficionado should be high on your list – you’ll open up a whole world of enjoyment. Edinburgh is packed with Whisky Bars, but we’ve tirelessly worked our way through them (someone had to) and picked just four luxury Edinburgh whisky bars with something special. 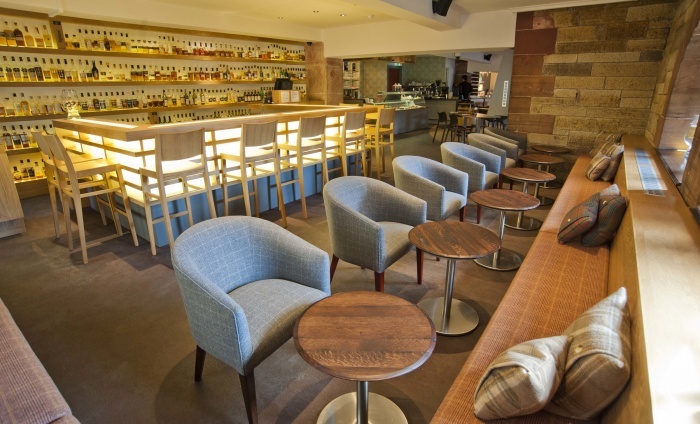 Edinburgh’s ‘Grand Dame’ The Balmoral recently added a dedicated whisky bar, ‘Scotch’ to its stable of facilities. A visit to Scotch is a truly luxurious affair. 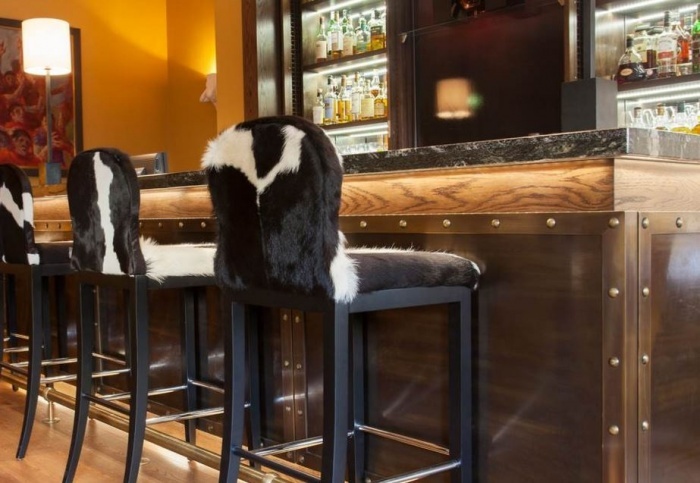 It is decorated like a Highland snug, with tweed sofas and velvet armchairs – even the whisky advisors are attired in specially-designed kilts. Scotch tops the whisky selection ‘league table’ of Edinburgh Whisky Bars to our knowledge, with over 500 whiskies on offer. More importantly, the team’s whisky expertise is impeccable. 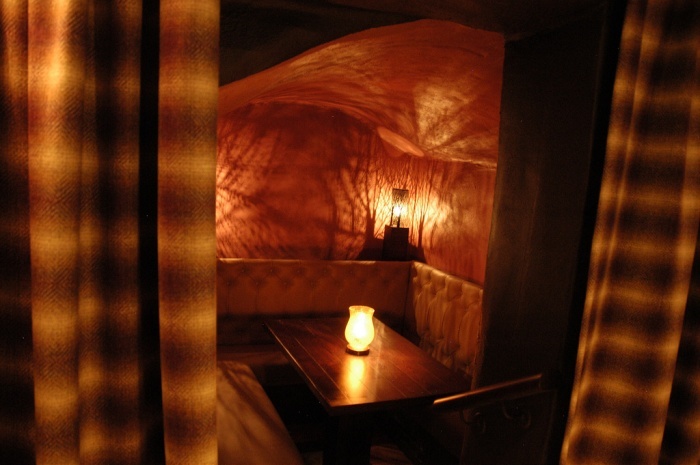 We advise a post-prandial visit to Scotch after a dinner at Number 1. The perfect end to a perfect evening. Amber Restaurant and Whisky Bar is situated on the lower-ground floor of Edinburgh’s 5-star attraction ‘The Scotch Whisky Experience’, so it’s not surprising the selection is amazing (a wall of 400+ Scotch whiskies), or that you learn something from the excellent team when you imbibe here. The whiskies and the bar surface are lit from beneath, creating a stunning visual impression, but with the more serious aim of allowing for visual assessment of your dram before you drink it. For high rollers, a dram from the now silent ‘Port Ellen’ distillery is available at a cool £180 – but most of the bar’s selection is considerably kinder on the wallet. Food, under the supervision of Executive Head Chef David Neave, is delicious, as we found when we dined. Perfect for both beginners and devotees. ‘Whiski Rooms’ is a great whisky bar perched on the walk up The Mound toward The Royal Mile, with superb Edinburgh views to be savoured from window tables. Over 300 Scotch whiskies are served to a discerning clientele, and the venue is one of the few with ‘Ardbeg status, serving an extensive range from the popular Islay Distillery. A full menu of Scottish specialities is offered, and there’s also a whisky shop so you can take a bottle of your favourite tipple home with you. A welcome newcomer to Edinburgh’s West End, Usquabae Whisky Bar & Larder occupies the cellar of ‘Ryan’s Bar’ – but once you’ve entered the cosy and luxurious space, the outside world becomes a memory. Usquabae is run by a team of passionate whisky devotees, and this shows itself in the superior selection of whiskies available. For the non-whisky lover, there’s also a great selection of vodka, gin, rum, and if hard liquor isn’t your thing, there’s a decent selection of wine.